How do you know if a car is cool? Well, for starters, don’t call it cool. The more you call a car cool, the less cool it is. So for the 2016 Kia Soul in Greensboro NC, we aren’t going to call this car cool. That wouldn’t do it justice. This vehicle is much more than cool. It is versatile. It is sophisticated. The 2016 Soul is everything you want in a vehicle that you didn’t know you needed. So where do we start with the 2016 Kia Soul in Greensboro NC? We start with what everyone always wants to talk about first, the design. 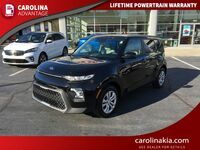 Now the Soul’s boxlike exterior design may look more like some elaborate marketing scheme to draw more attention to the vehicle, but did you know it actually provides a wide variety of benefits. For starters, the raised roof gives drivers more headroom in the front and rear, and adds cargo space that you won’t find in any other vehicle. 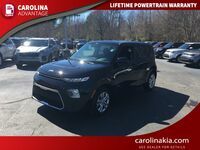 The design also helps with the vehicle’s accessibility, as you won't be needing to crouch down or step up, and you can just simply slide right in to the 2016 Kia Soul. 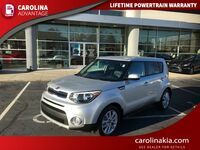 With a vehicle like the 2016 Kia Soul in Greensboro NC, you don’t necessarily need the most power or performance on the road. What you want is a vehicle that is enjoyable to drive, and still provides excellent fuel-economy. Well, with either one of the Soul’s two available engines, you are promised to get that. The first engine is available in the Soul Base trim, and is a 1.6-liter 4-cylinder engine. 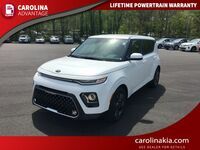 It produces 143-horsepower, while also managing, based off of the 2015 Kia Soul’s numbers, 26-mpg combined, and up to 30-mpg on the highway. 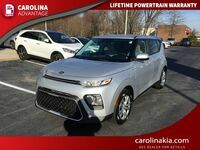 The second engine that is available under the Plus and Exclaim 2016 Kia Soul in Greensboro NC is a 2.0-liter with a bit more power. It pushes out 164-horsepower and 151 pound-feet of torque. It also does quite well at the pump, getting 26-mpg combined and up to 31-mpg on the highway, again based off of the 2015 Soul’s numbers. 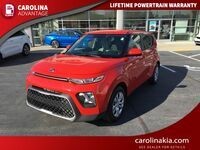 As you would expect with just about any Kia vehicle on the road today, the 2016 Kia Soul in Greensboro NC has all of the available technology you need in today’s day and age. It all starts with the UVO infotainment system, which makes taking phone calls and sending messages a breeze. It also makes driving much safer as all of the controls you need to operate the system can be found right at the tip of your fingers on the steering wheel.